This is not a bug. To make your virtual directories visible try the following. Create empty folders under your ftproot directory with exact the same name as you has chosen for your virtual directories. 2. You can CD into a directory and will be inside your virtual one. 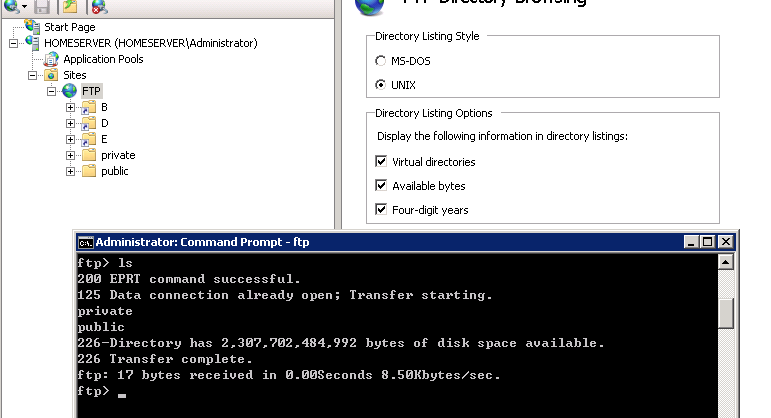 Thanks for the tipp “Use MBR disk in ESXi 5”! I’ve tried that. But after the virtual directory added, the original and the virtual one will not be displayed.